I loved the themes in this story of accepting consequences, looking for the good in others, and unconditional love and friendship. I got to know the characters in this book when I read the sequel first (I seem to be doing that a lot lately...) so reading this was like visiting old friends and discovering new stories about them. I would recommend reading them in order if you can, though ;) I liked seeing how Gin's upbringing directly influenced her attitudes but she was willing to change and try for the sake of her daughter. The steadiness of Dan's character is huge for both Gin and Raine, and as they become included under the shelter of his protective nature, he is an example of Christlike love to them. It was interesting to have the younger perspective of Cody and Raine as well as the adults; it made for a richer and more rounded telling of the story and all the emotions from various perspectives. The changing point of view never felt unbalanced and was skillfully woven as the plot unfolded. A heartfelt story of choices, consequences, and blessings. Tattooed, rough-around-the-edges Jack raises quite a few eyebrows in the tight-knit community of Banister Falls. Where Evie's life is stream-lined, Jack's approach to living is moment-by-moment. But as Evie gets drawn into Jack's world—a world that isn't as safe or predictable as the one she's worked so hard to create—he challenges her to open her eyes to the problems outside the walls of the church. Jack doesn't make Evie feel comfortable, but he definitely makes her feel something. Something she hasn't felt since Max passed away—or, maybe ever. Because even though Jack isn't anything like her late husband, he just might be everything she needs. I started this book not realizing it was the second in a series. 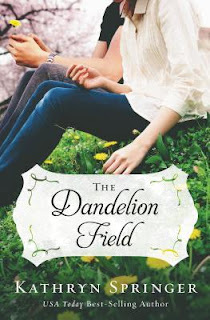 It took me a few chapters to get a feel for all the characters and their relationships since the story pretty much dives right in to Evie's life, and I think it would have been a smoother start for me if I had already read the first book, The Dandelion Field. Evie is angsting over her empty nest now that her only son is married, but once she and Jack become unlikely friends, the story focuses on her eye-opening experiences in the seedy part of town and the love and kindness needed by the people there. Evie has a true heart for service and I admired that she made friends in Jack's neighborhood quickly and without judgement. Her compassion is a blessing to Jack's family and although he doesn't feel worthy of her, he falls for Evie and they begin a sweet romance (amazing first kiss, by the way!) I felt for Jack as he repeatedly tries to be the rescuer and fix-it man for his splintered family, only to realize that he has to let God take care of things out of his control. I loved his character trait of being handy at renovating and improving buildings, it reminded me of my uncles and their skills :) The theme of letting go of fear to embrace the blessings God has in store for us is one that was successfully represented throughout the course of the book. Now I'm going to go read The Dandelion Field! I always enjoy Kathryn Springer's stories since she has a way of making her characters realistic and easy to connect with. Mac has conflicting emotions as she reunites with her unrequited love and it was fun to see Ethan's instant attraction to her. 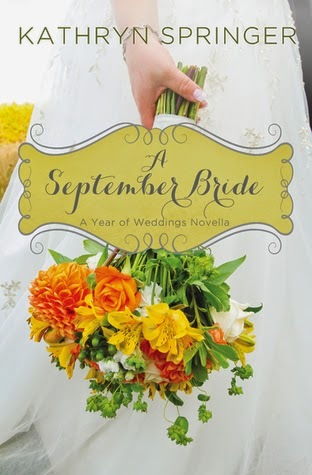 She doesn't make it easy for him, but a new level of friendship naturally occurs as they work together to give Hollis the quiet wedding she wants while still providing a story for Mac to report. Mac's new dilemma is whether or not to hang around the small town to be with Ethan or move on to a bigger city and focus on her career. 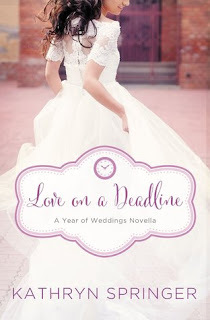 A great addition to the Year of Weddings novella line! The residents of Red Leaf welcome Annie into the fold . . . everyone except the bookstore owner's son, Jesse Kent. But Annie refuses to let the handsome deputy keep her from embracing her new home with open arms. She even volunteers to help the local historical society refurbish an old church and agrees to be the 'bride' for a special reenactment celebrating the museum's open house. Jesse Kent can't believe his mother has handed the keys to her business over to a woman she met on the Internet. Annie's beautiful, of course, and smart as a whip, but what do they really know about her, anyway? What if she's come to their town just for his mother's money? The only way to see if his suspicions about Annie Price are true is to keep a close eye on her---even if it means he has to marry her! Planning their mock wedding will give him the chance to uncover Annie's motive for moving to town. But as the day of the wedding approaches and secrets come to light, Jesse must face the truth. He wants Annie to be his September bride . . . for real. What a sweet falling-in-love story set in a quaint small town. 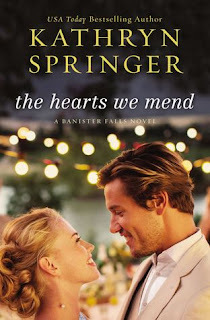 Annie and Jesse may not have started off on the right foot, but they quickly see the good in each other and with the help of some well-meaning townspeople, find themselves in situations perfect for a little romance. My favorite scenes were hunting for vintage treasures in Ms. Viv's attic and Annie dressing up to read to the children in the bookstore. There is even a mystery towards the end that has to get solved before the wedding if Annie is going to feel welcome in Red Leaf, and it's heroic how Jesse comes to her defense.